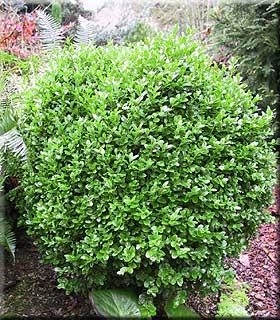 Comments: This is the always popular True dwarf boxwood. Small, oval deep green leaves have a bronze casting in winter, especially in cold weather areas. Used extensively for low hedging. A favorite in England's Elizabethan knot gardens.